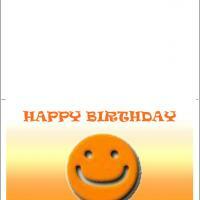 This quarter page birthday card is the perfect way to let someone know how much they mean to you. These free printable cards are a great way to let people know you remember that they are someone special. 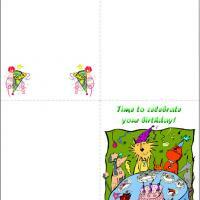 These printable birthday cards incorporate all sorts of party elements on the front like cake, balloons, and gifts while the inside has party hats! Remember to include your own simple message on the inside. 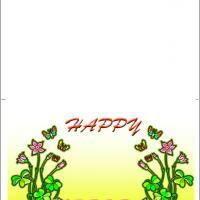 Print this card, fold along the dotted lines, add your own colors as you wish and presto! Just keep in mind the one important thing: include loving greetings and happy birthday wishes. This fun birthday card will do the rest. 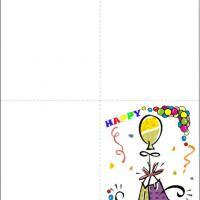 Bring a smile to the faces of your friends and family; print this party animal card today! Laughter has been lauded for decades as the best medicine for what ails you. Time to Celebrate Birthday, a free printable birthday card, will leave them laughing on the floor when the birthday guest opens your card. Six pups dressed to the nines in their best party clothes have gathered together to wish someone special a happy birthday. While each pooch has a plate complete with a bone, they did not forget it was a birthday party so they baked a cake and lit the candles. The blue tablecloth along with balloons, streamers, and a purple party hat all shout a fun birthday greeting to all that receive this card. 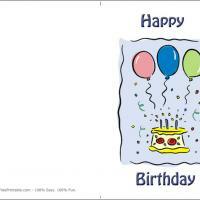 We heard someone was celebrating a special birthday so, you have come to the best place to find free printable birthday cards. Time to Celebrate a Birthday card is a humorous collection of canines gathered at a blue tablecloth covered table set with dishes of bones for all but, they did remember to include a double-layered birthday cake covered in pink icing and topped with three lit candles. There are balloons and colored streamers floating about on a bright green cover. What a fanciful way to greet someone on their day. Tuck in a few personal words of best wishes inside and you are all set.